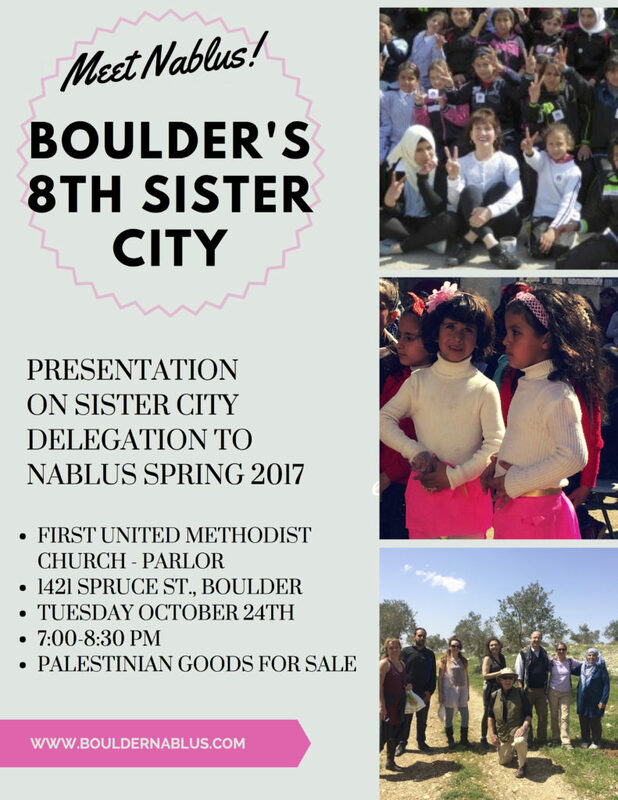 Home → 2017 → Meet Nablus: Boulder’s 8th Sister City! You are welcome to join us at a presentation by delegates who participated in the first official delegation to Nablus, Palestine in the Spring 2017. Meet the friends we made and learn more about the activities that are underway connecting citizens of both cities. Available for sale will be all sorts of Palestinian items: olive oil (both regular and infused with lemon, thyme, garlic, basil, or chili peppers), za’atar, olive oil soap, beautiful embroidered clothing, Palestinian greeting cards, and more!